Fuchs, Christian. 2017. Social Media: A Critical Introduction. London: Sage. 2nd edition. With social media changing how we use and understand everything from communication and the news to transport, more than ever it is essential to ask the right kinds of questions about the business and politics of social media. This book equips students with the critical thinking they need to understand the complexities and contradictions and make informed judgements. - Lays bare the structures and power relations at the heart of our media landscape. - Explores the sharing economy of Uber and Airbnb in a brand new chapter. 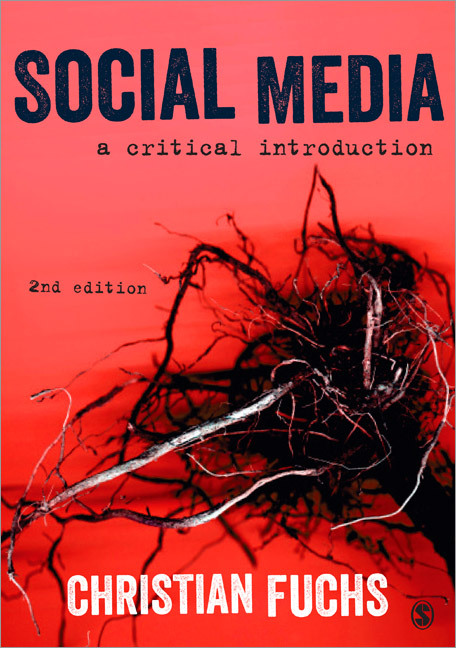 This book is the essential, critical guide for all students of media studies and sociology. Readers will never look at social media the same way again.